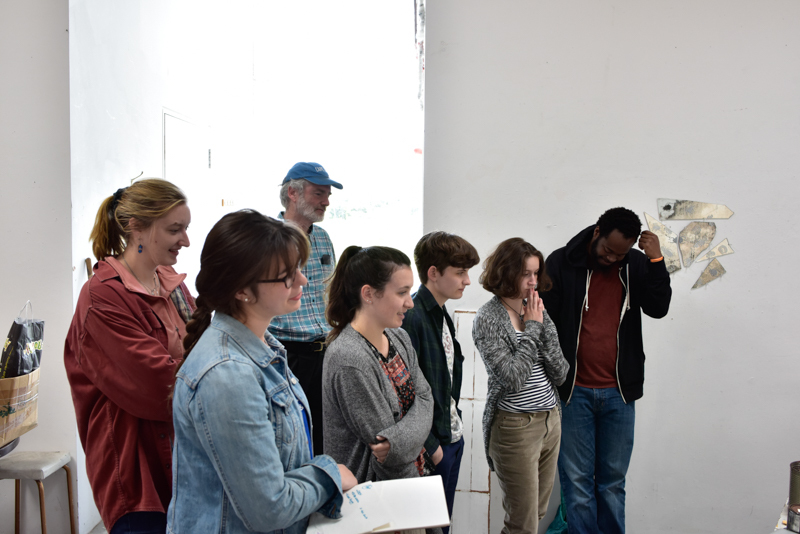 We’ve just finished week 2, which was pretty much totally focused on the Wheaton artists and musicians making new works and compositions, pushing their comfort zones and trying new ideas. 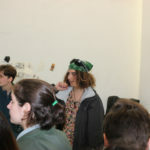 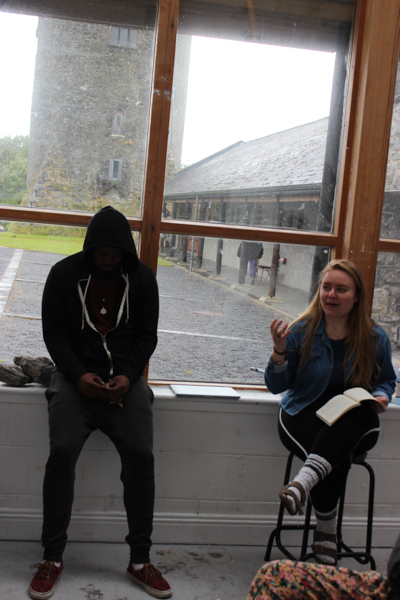 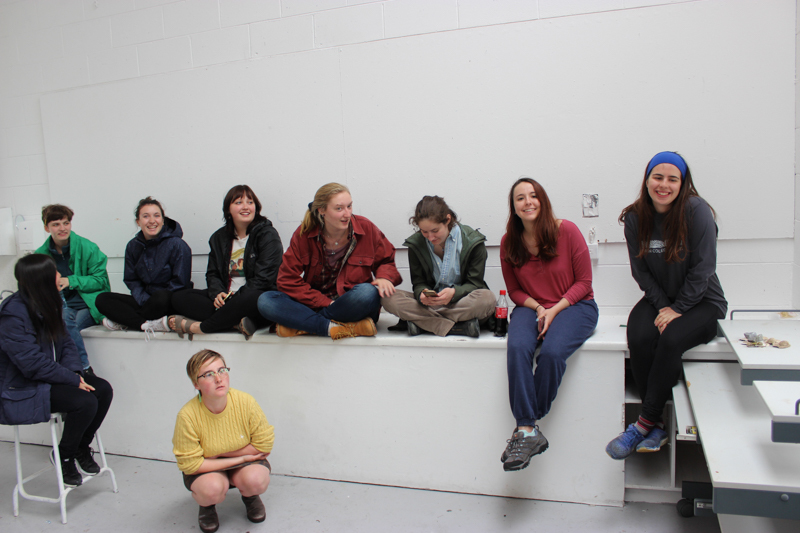 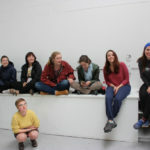 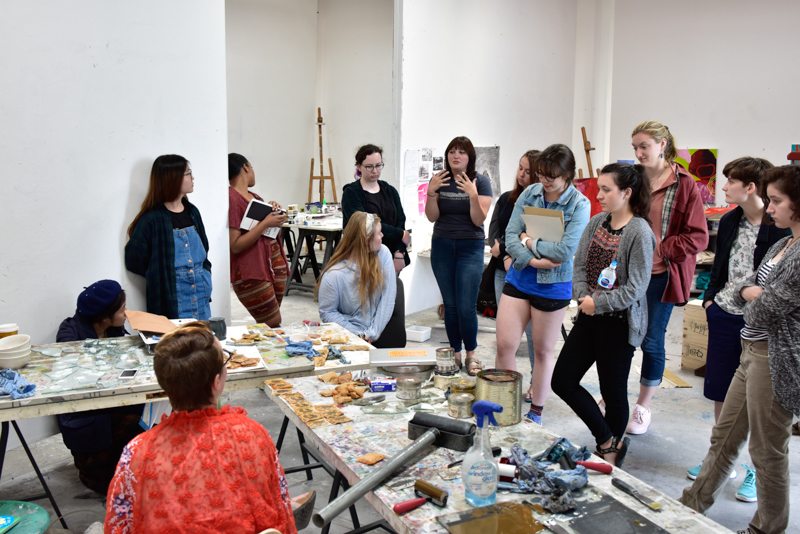 Unlike week 1 where the students’ work schedule was punctuated by tours, hill walks, music, storytelling, and dance lessons, giving context and color for their work here, week 2 was all about the students settling in and spending full time on their work. 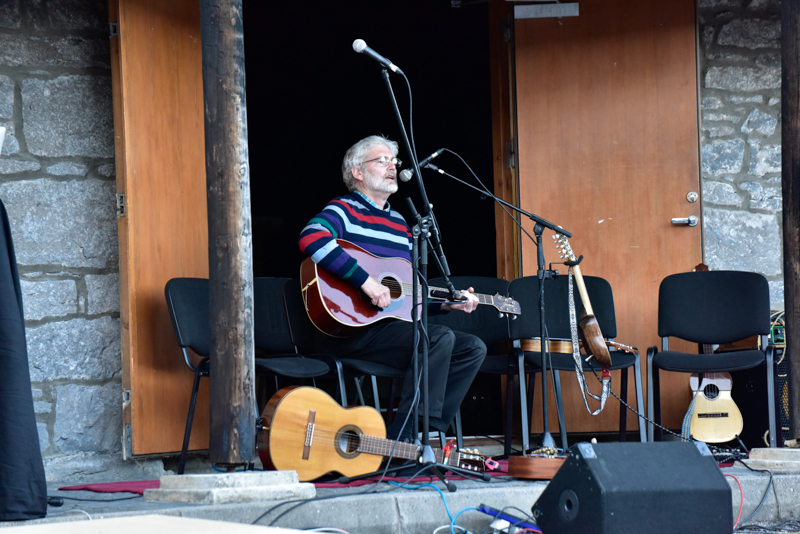 The one break we took during the week was a fabulous evening at the traditional Irish music session at McDermott’s music pub in Doolin, a small town in County Clare renowned for some of the greatest traditional music and musicians in Ireland. 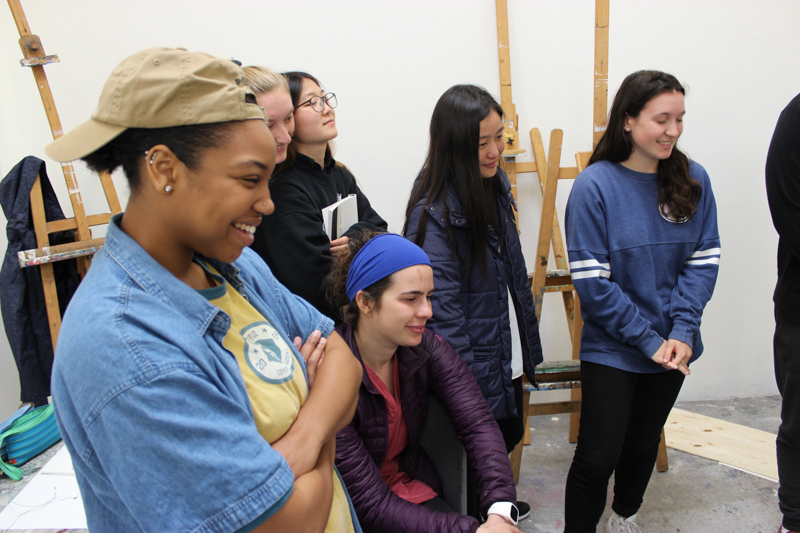 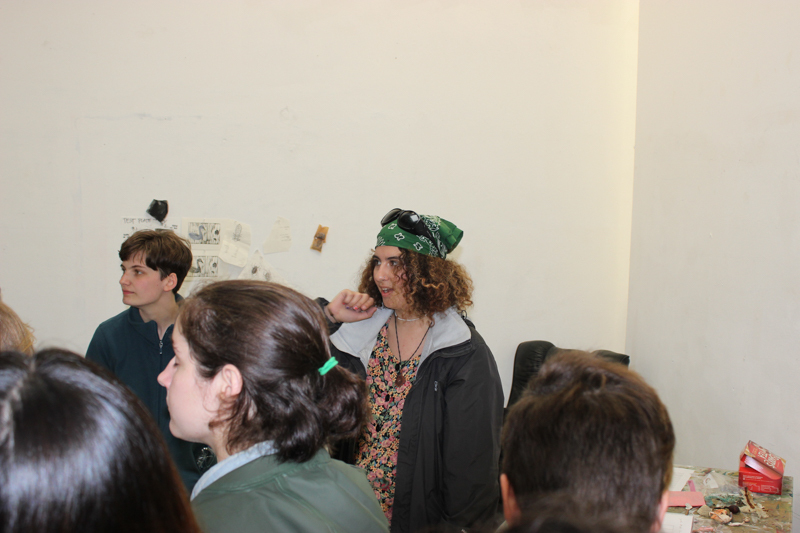 The week was bookended by our first two critiques in which the music and art students participated equally, and gave fine feedback and suggestions to each other. 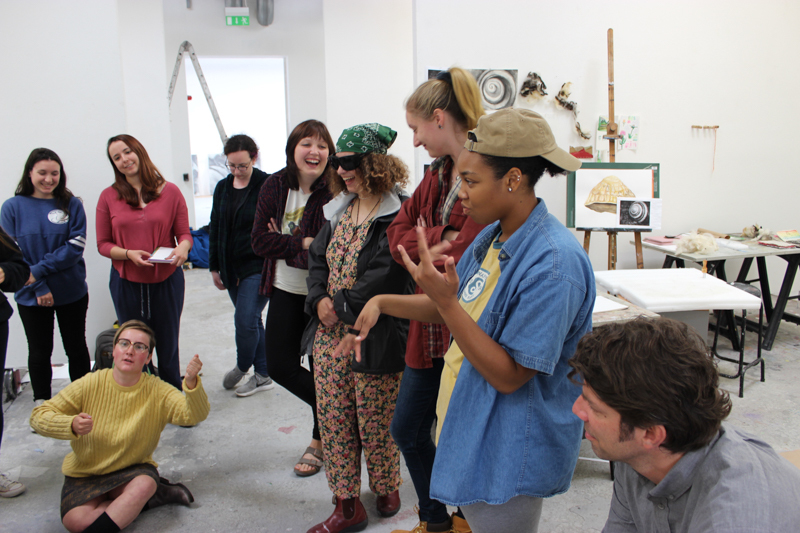 The critiques have been dynamic. 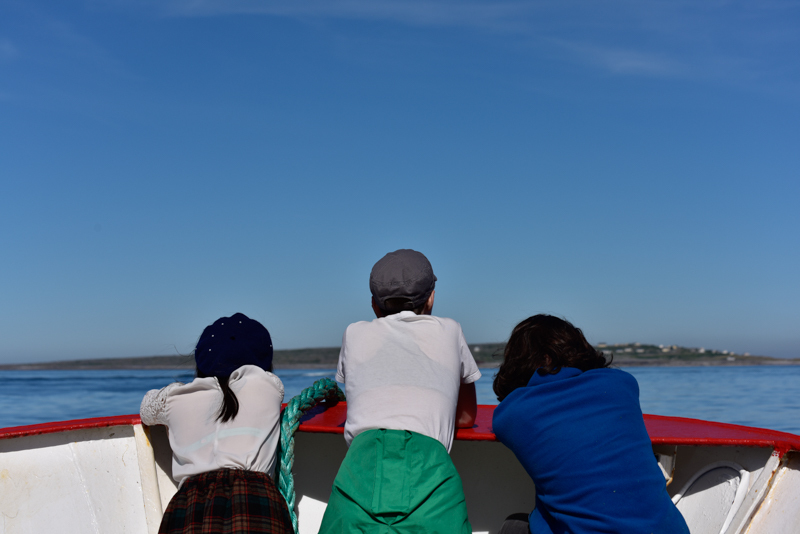 The first one lasted nearly four hours. 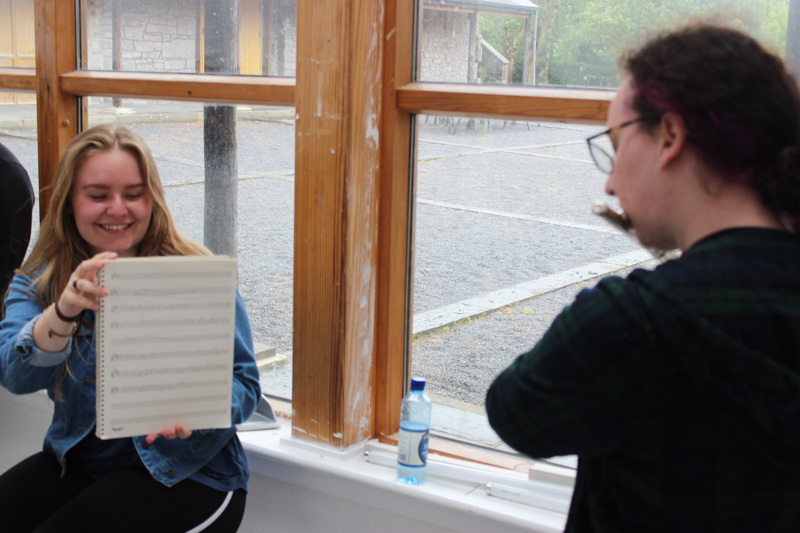 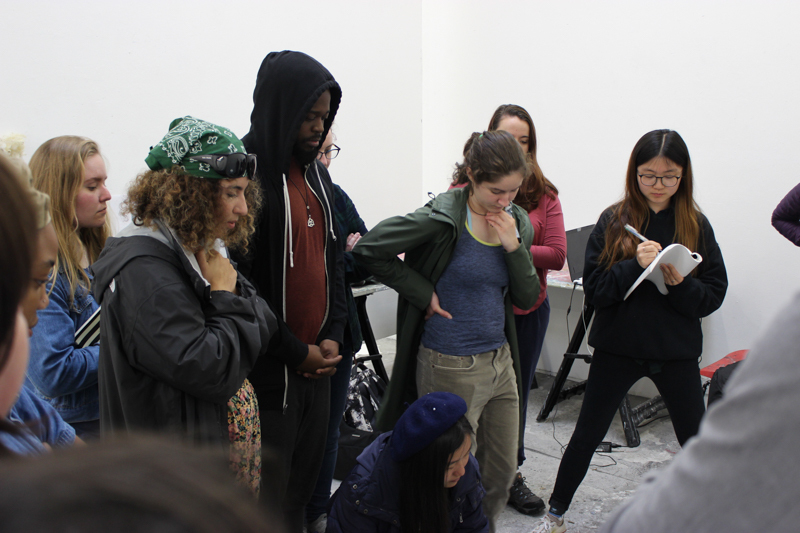 A strength of our program is our mixture of visual and musical practice and students are challenged to provide critical feedback within and outside of their disciplines. 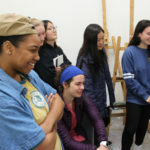 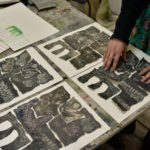 This brings about incisive observations as well as unexpected comments, like when a visual art-focused student wondered out loud if the musical piece under review could become a “variable edition” (she was using printmaking terminology). 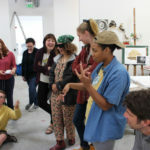 There is much common ground among members of the group, like a sincere desire to say something, transform material, break new ground, and impact an audience. 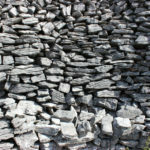 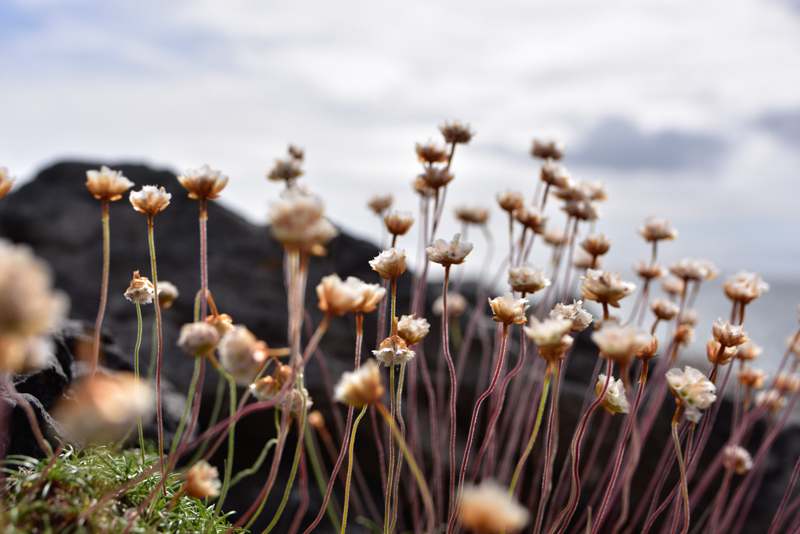 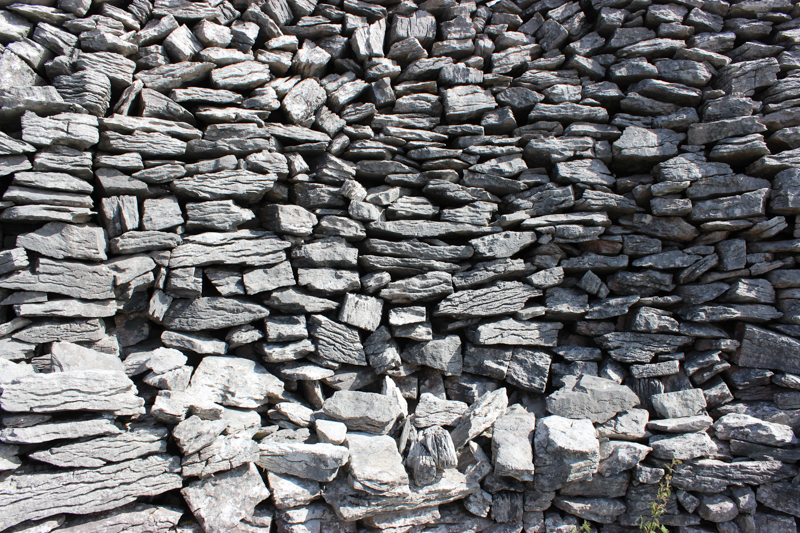 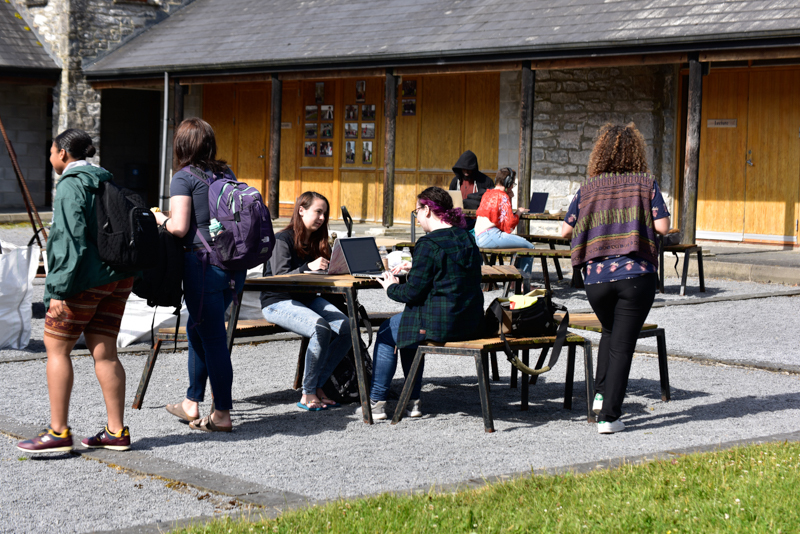 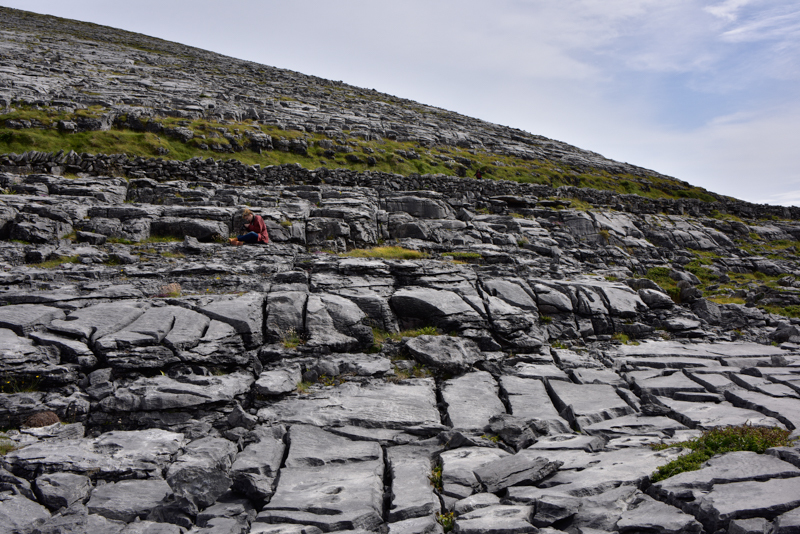 Students have been working quite a bit in the Burren landscape. 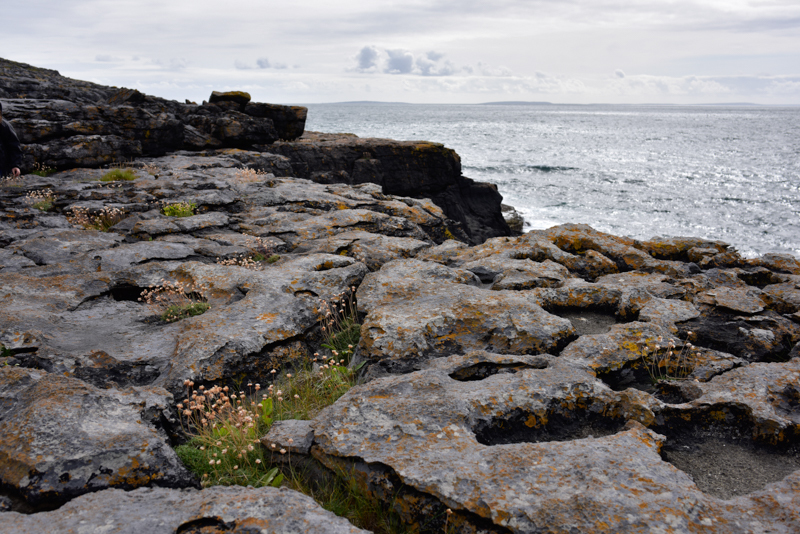 They can be found exploring forest, farmland, rocky coast, meadows and ruins. 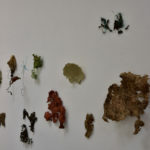 They collect natural materials for processing or transformation. 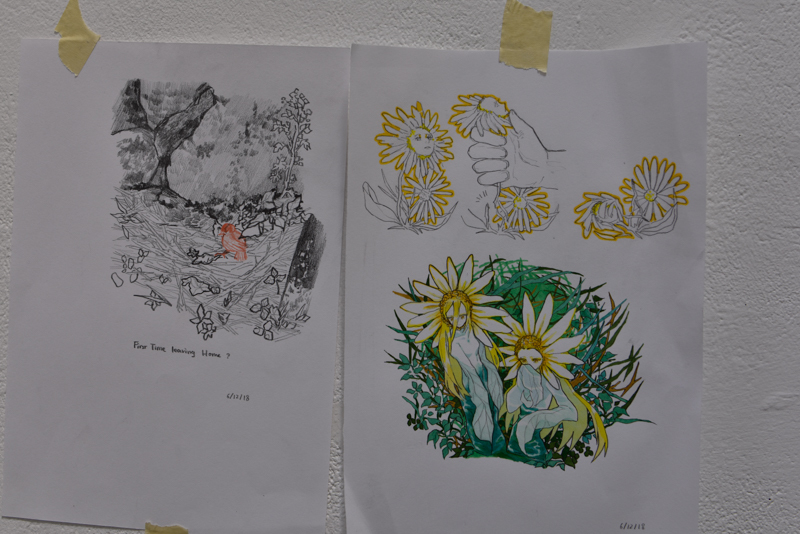 They collect imagery and sound. 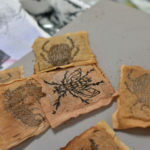 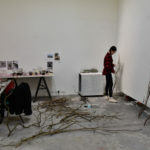 They drag things into their studios and pile things and arrange materials and notes and make melodies and drawings and sculptures and lyrics and photographs and songs and soundscapes. 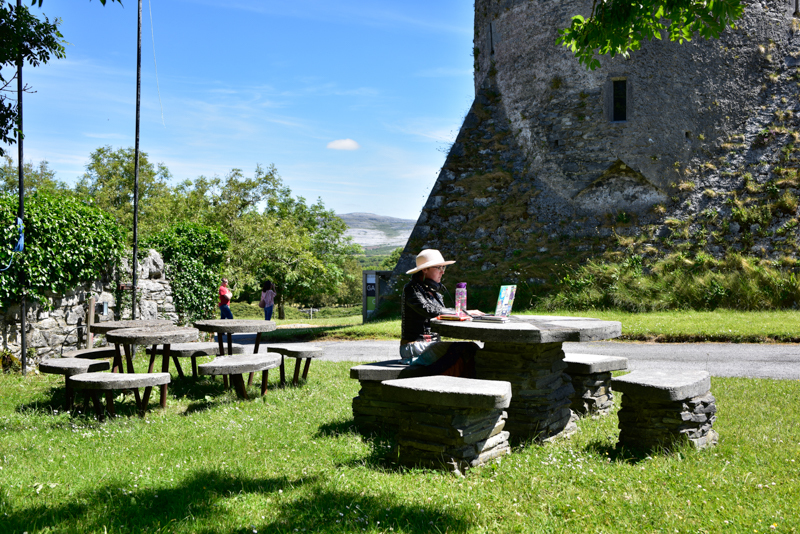 They work in the castle, in their studios, outdoors (our weather has been outrageously good) and in their apartments by the shore. 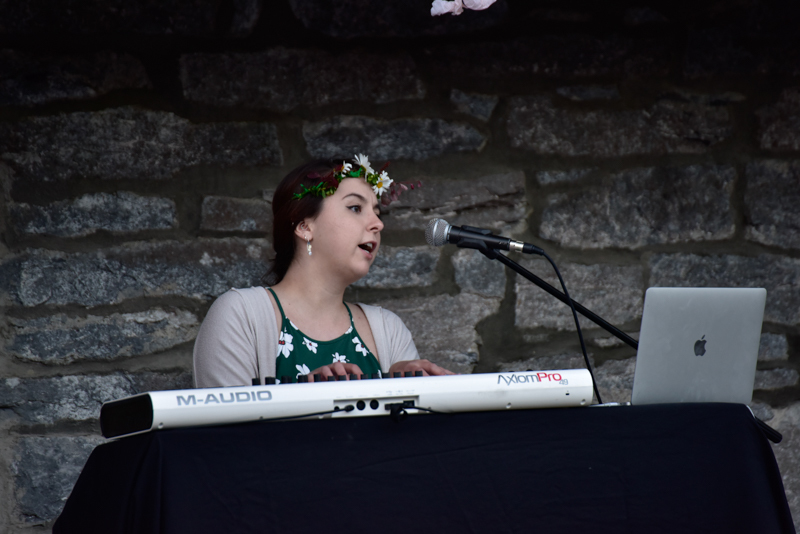 Students have performed original, traditional, and popular music in pubs, at the college, and at the town hall. 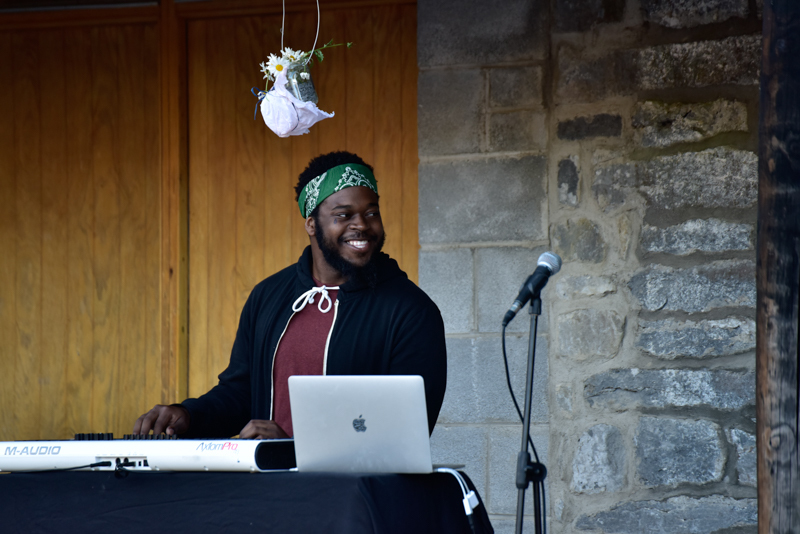 We’ve sung solo acapella, in duets and groups with friends, collaborators and with strangers. 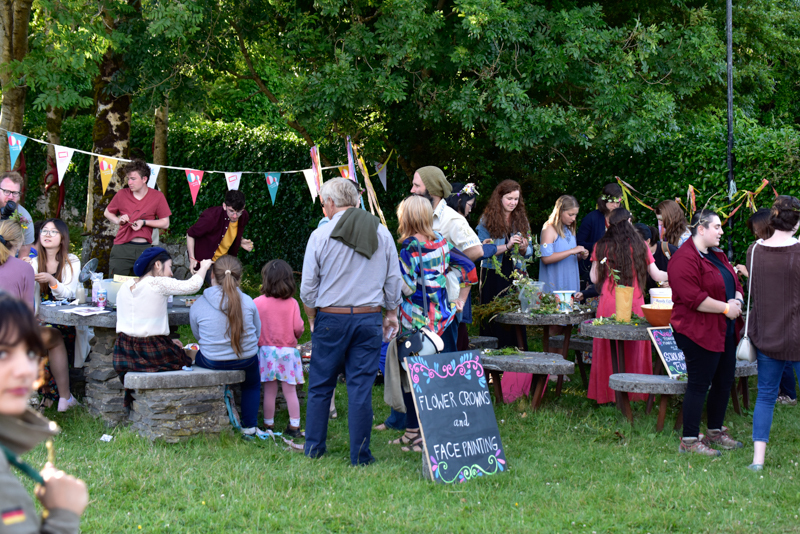 Last Friday night we joined the Ballyvaughan community’s celebration of St. John’s night at the College. 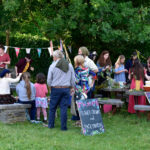 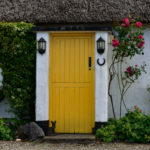 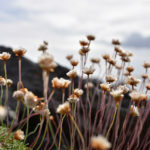 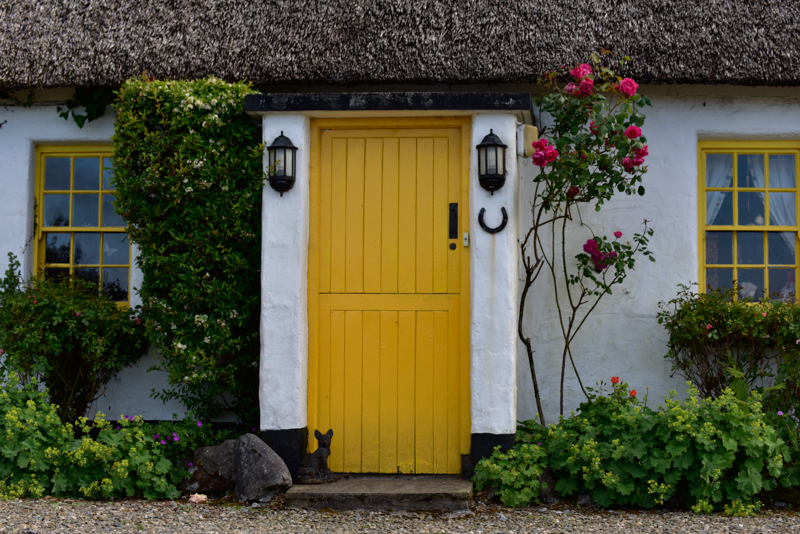 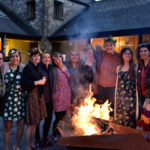 This Irish form of the summer solstice involves bonfires which have many symbolic meanings – for example, farmers incinerate noxious weeds that could prevent a good harvest from happening. 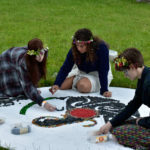 The bonfires also remind people to symbolically let go of the past year and get a clean start. 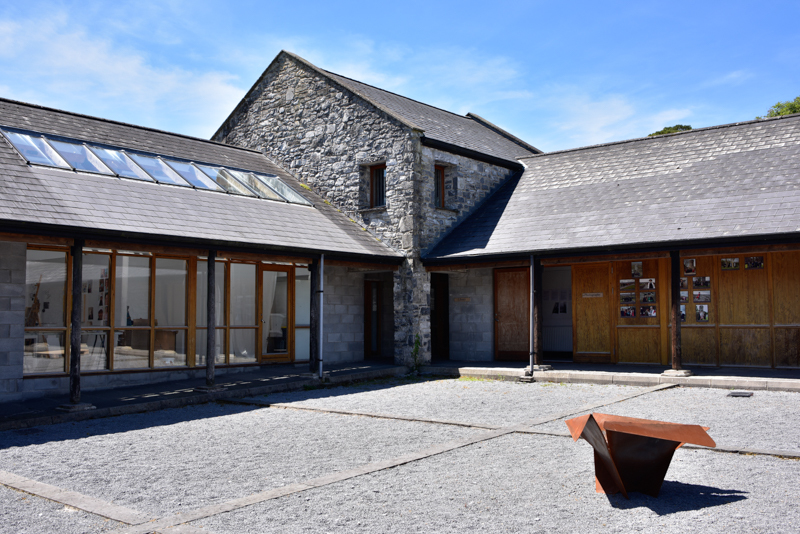 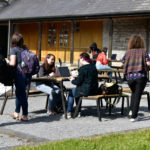 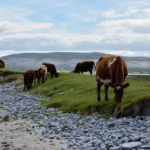 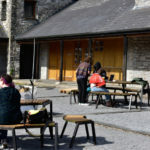 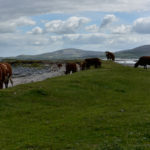 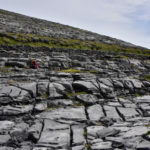 The ninety-eight-year-old mother of the president of the Burren College spoke about some of the traditions she remembered being observed when she was a little girl. 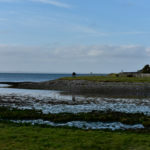 On the evening of June 23rd bonfires can be seen on many hills through the countryside from Ballyvaughan across Galway Bay to Connamara. 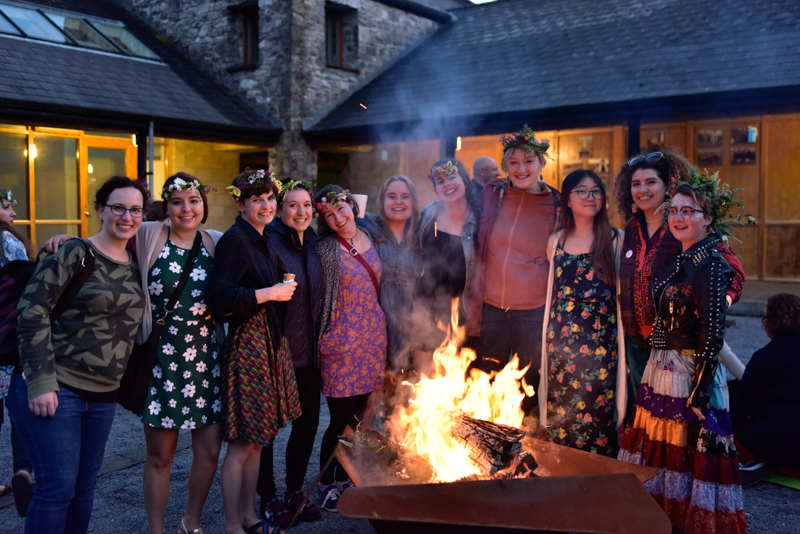 While overall the St. John’s eve bonfires have been in decline over the last several decades, a couple of years ago the Burren College decided to start observing the tradition here in Ballyvaughan and they look to be off to a great start. 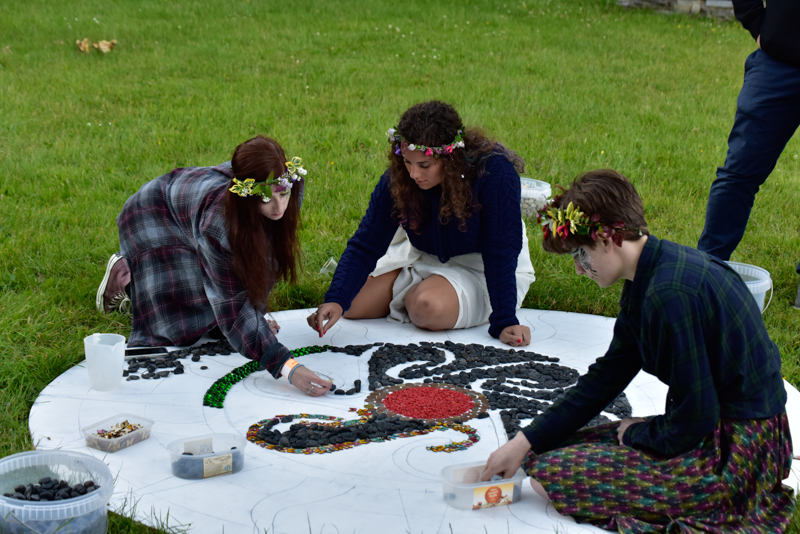 This year was the second year of St. John’s night at the College. 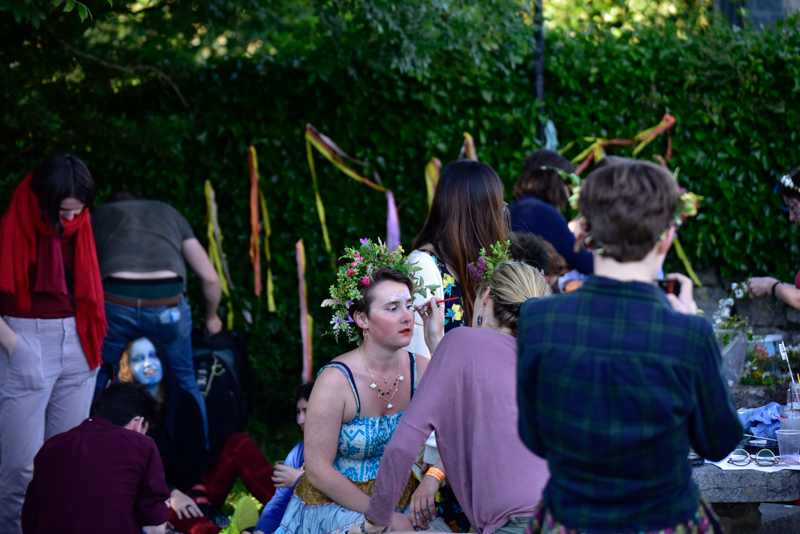 They had lots of food, music, dance, sing-alongs, and of course the ever-present Irish raffle. 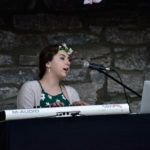 The Wheaton music students were represented on stage by Bri Sheldon on piano and voice, and Daniel Alexandre playing one of his original songs as well as a blues together with myself (Matthew). 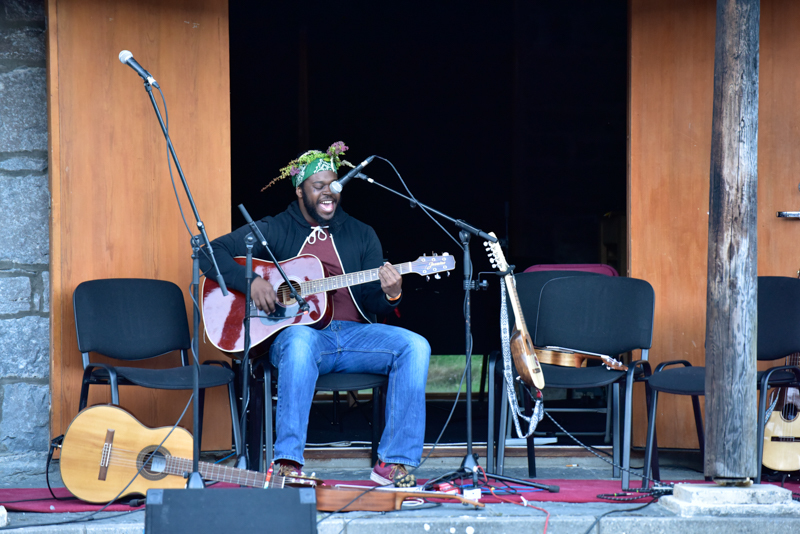 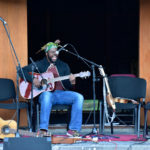 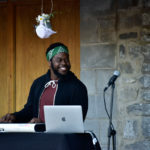 The Wheaton musicians were warmly received by a crowd of at least 200 people as afternoon turned to evening and sunset approached. 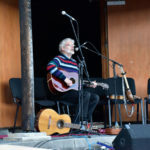 Other luminaries entertaining on the music stage were the Ballyvaughan Ukelele Orchestra and Los Paddys de las Pampas. 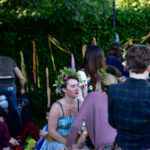 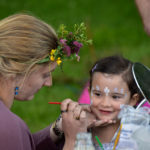 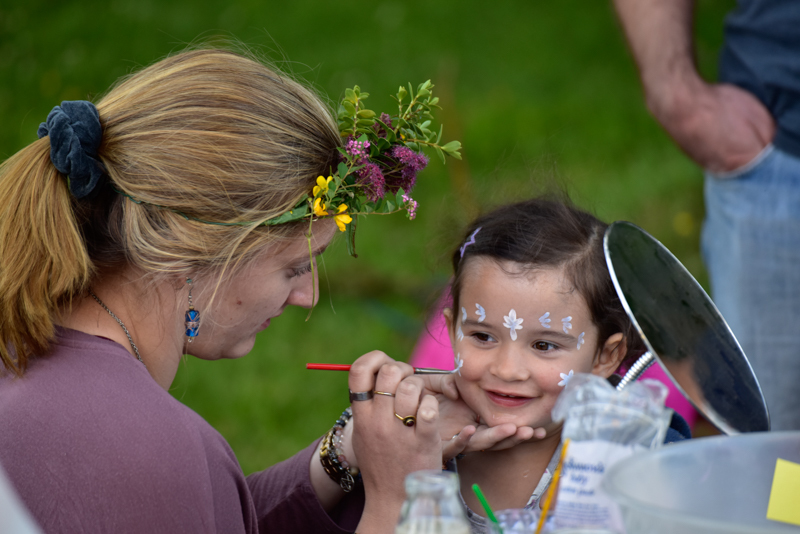 Wheaton students also made great contributions with face painting and creating fairy crowns, serving food and helping with the esoteric details of the raffle (which Prof. Allen had to get a handle on as he was serving as the evening’s MC). 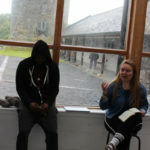 It was a fine ending to a productive week of hard work on the part of the students. 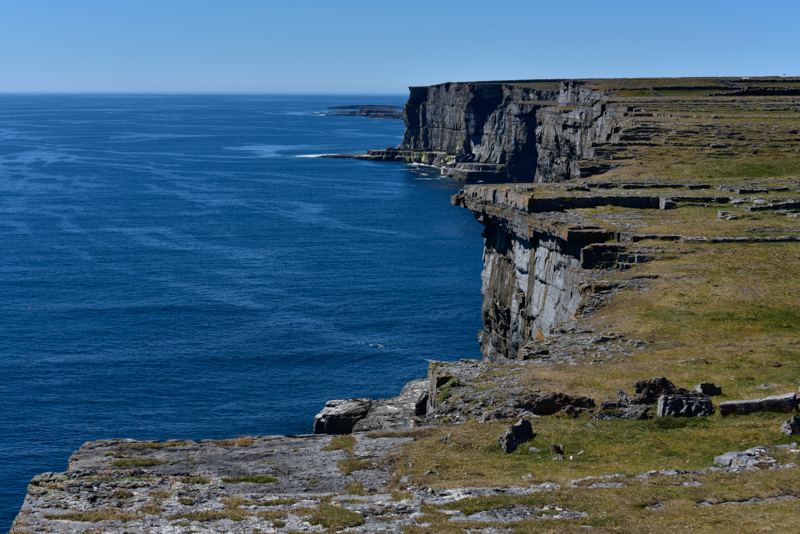 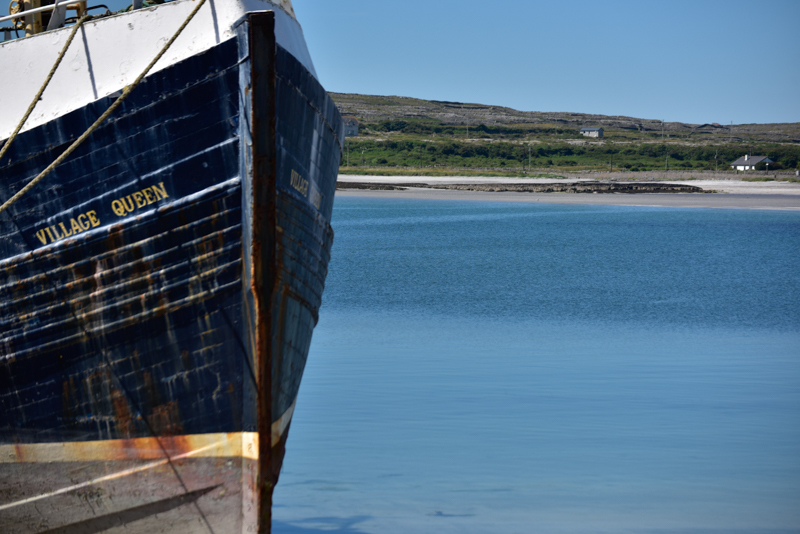 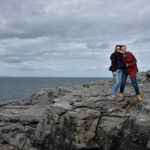 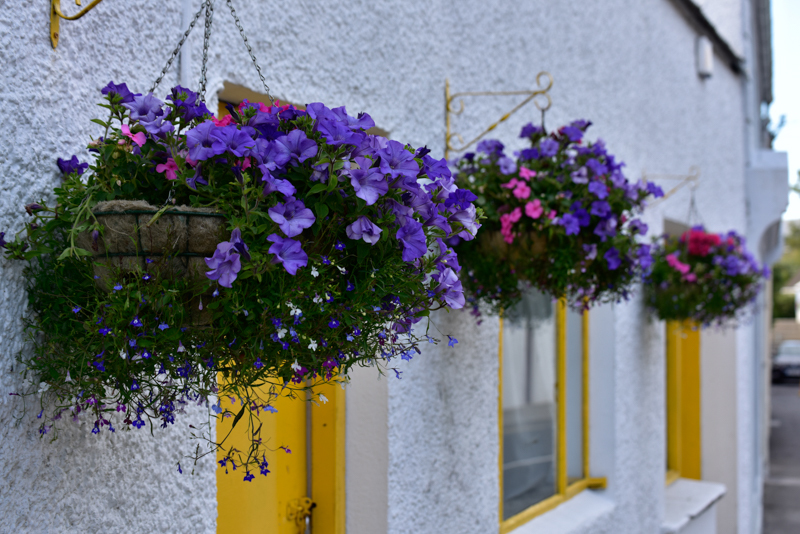 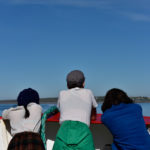 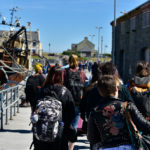 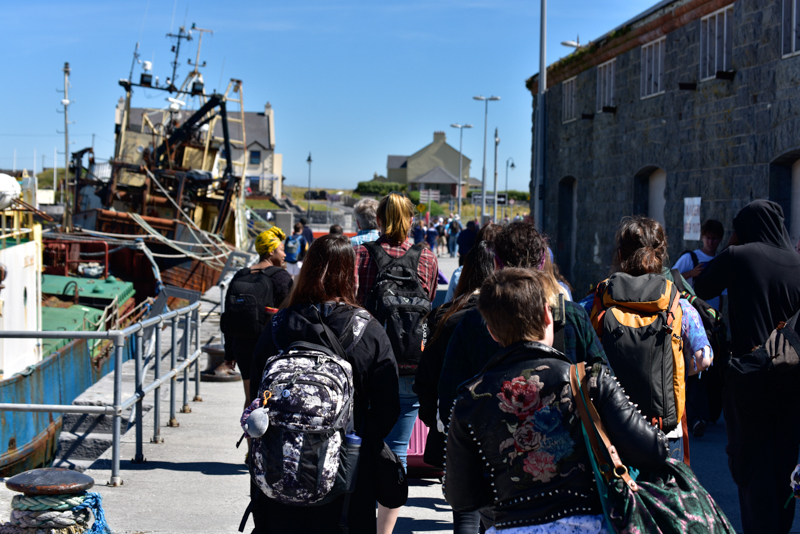 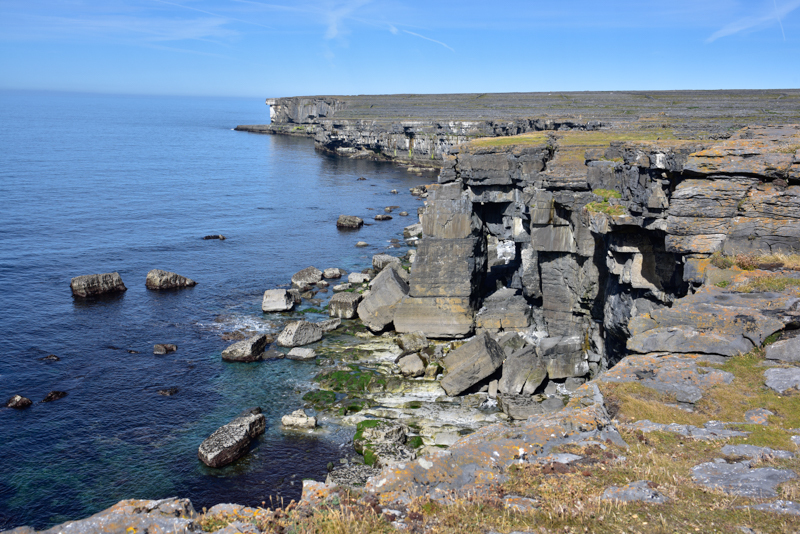 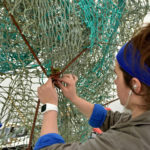 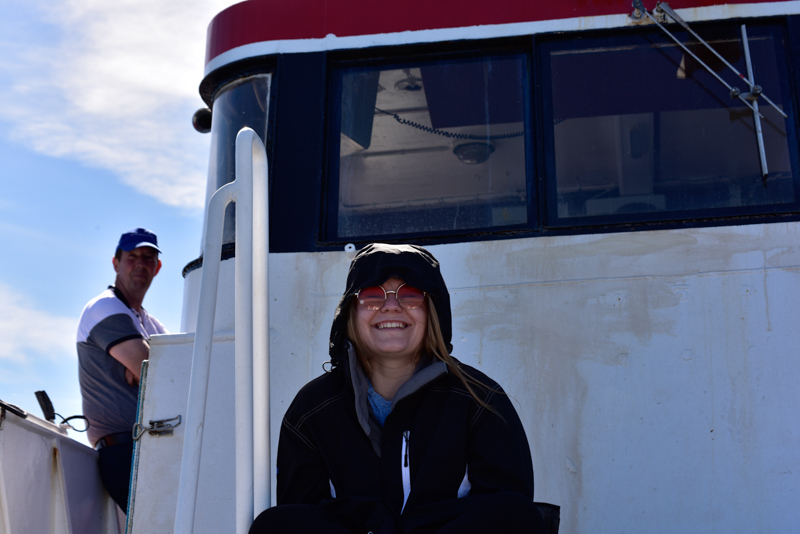 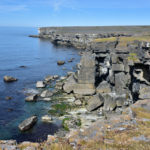 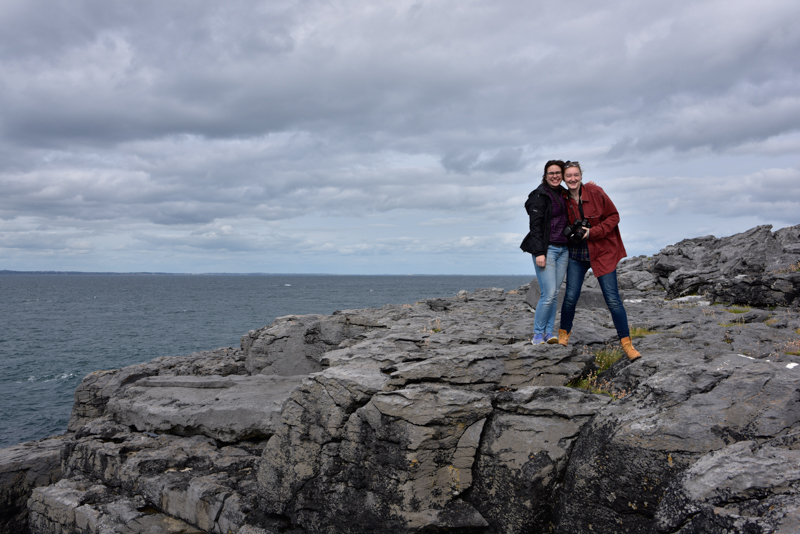 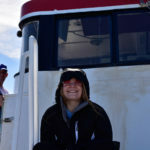 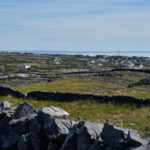 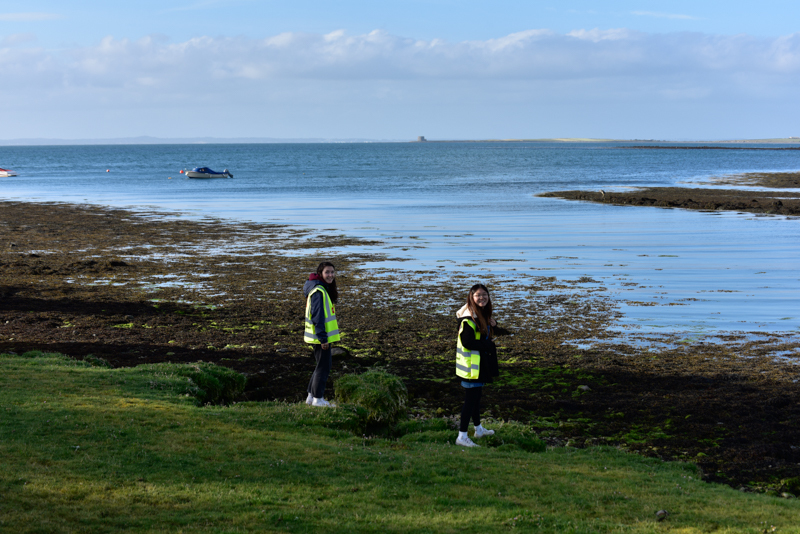 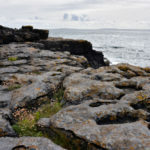 To mark the transition to the third and final week, the Wheaton group has traditionally spent an overnight on Inishmor, the largest of the three Aran Islands. 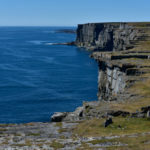 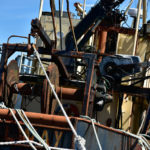 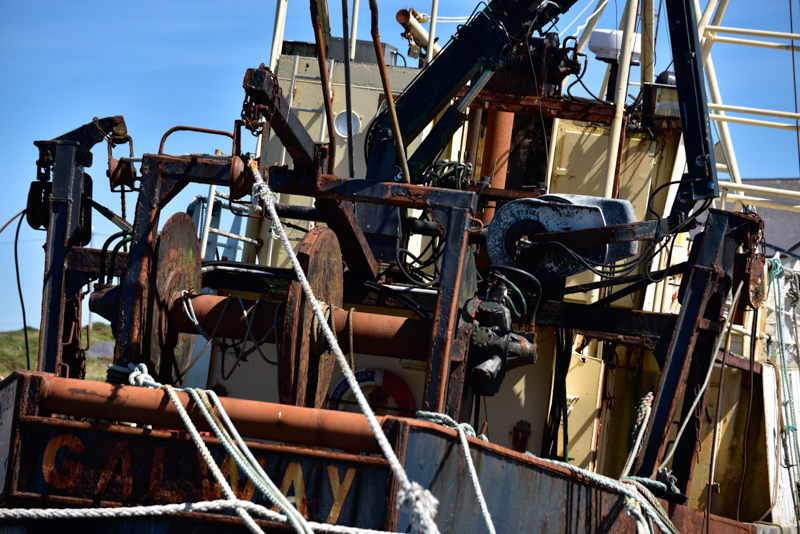 It’s about an hour by boat from Doolin harbor. 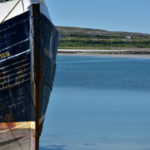 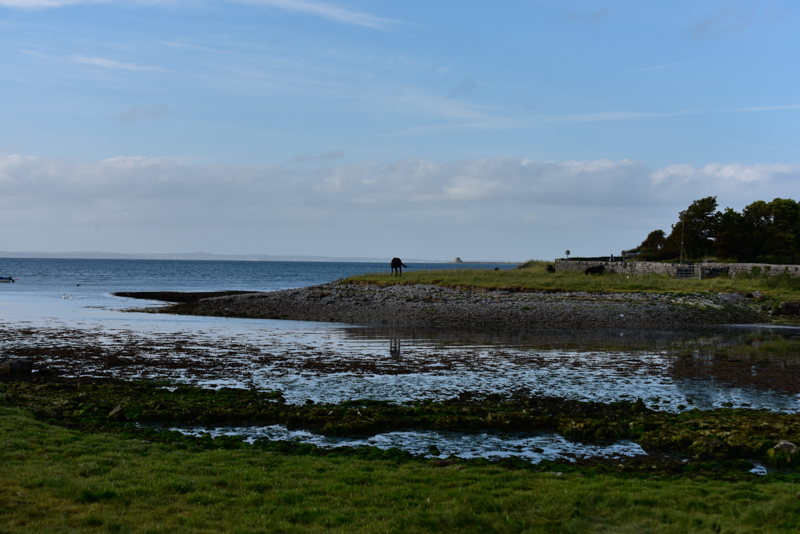 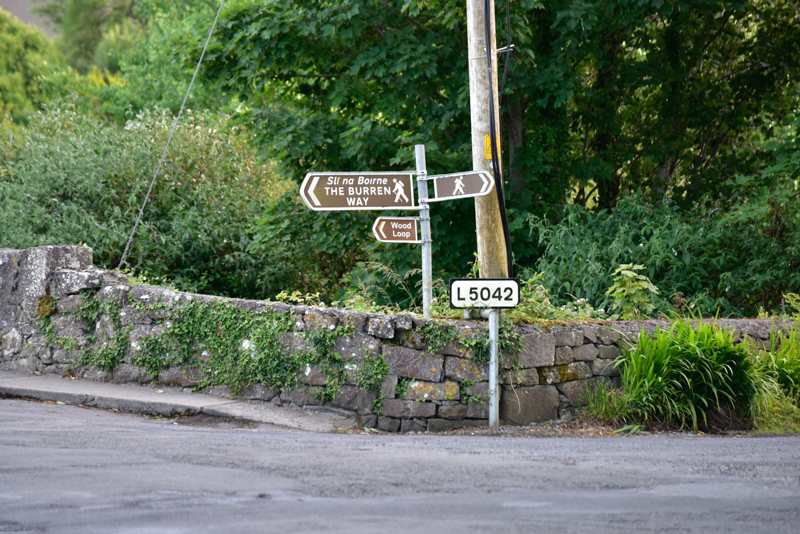 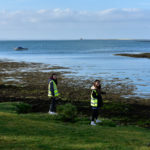 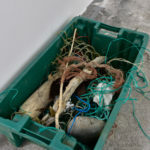 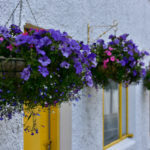 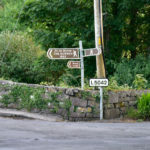 This evening (June 25) we have just arrived back in Ballyvaughan from our trip. 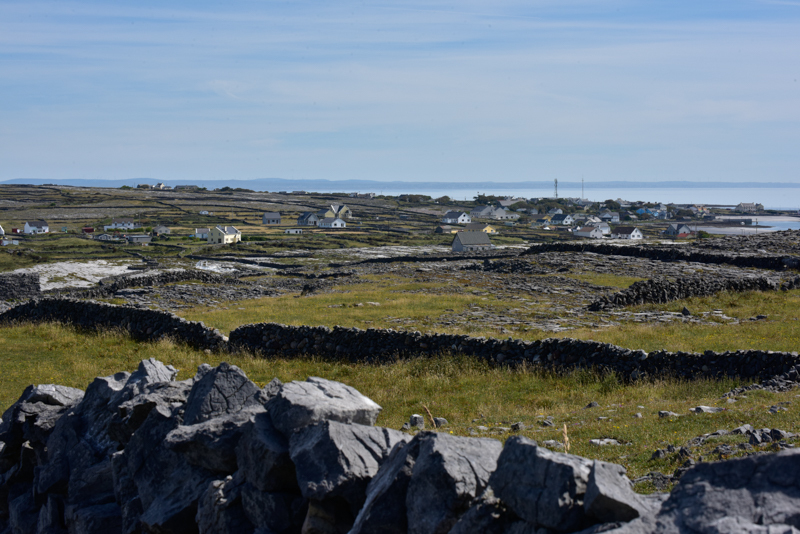 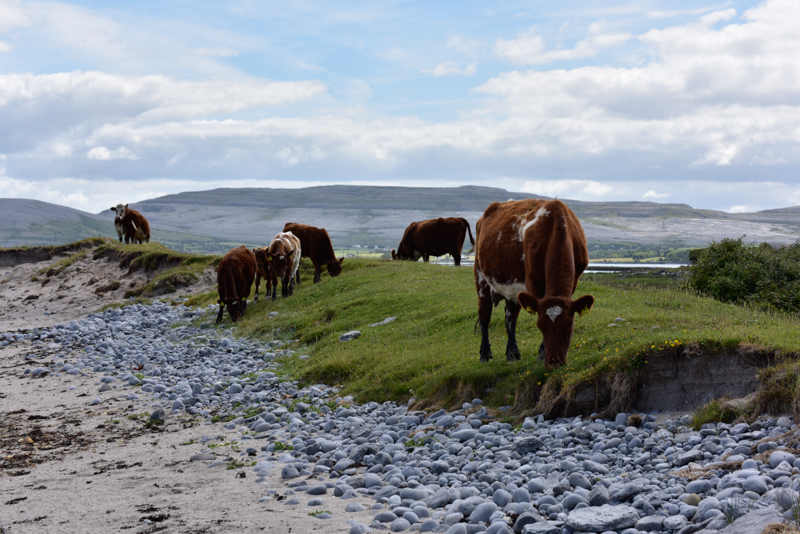 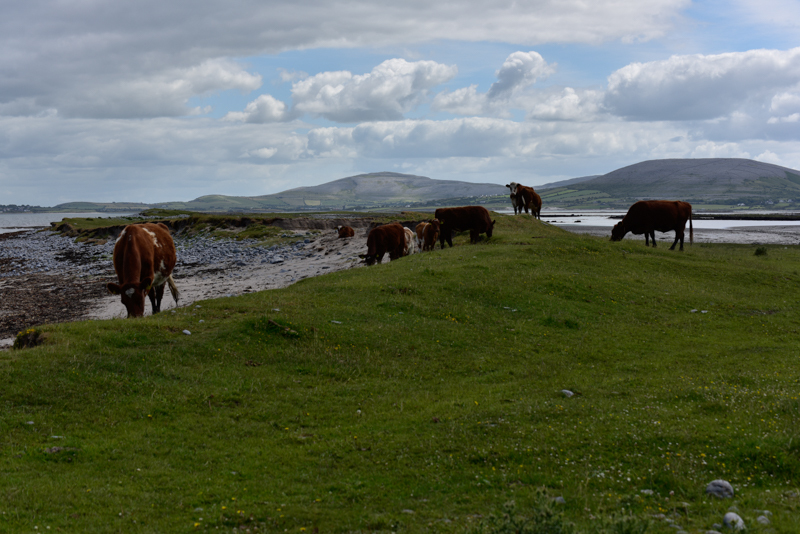 On Inishmor we rented bicycles, swam, got pretty sunburned, and had a community dinner all together on Sunday night at Joe Watty’s Bar, the hippest place on the island. 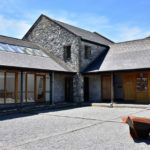 We are now home and ready to start week 3. 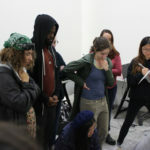 In a word – if week 1 is orientation and week 2 is creation, what is week three? 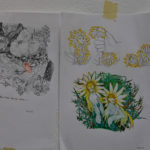 – presentation! 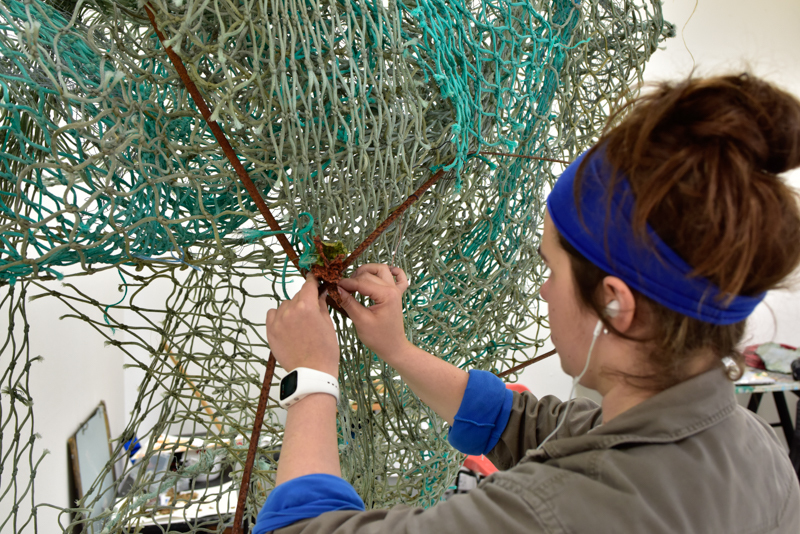 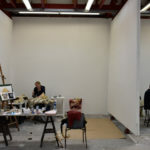 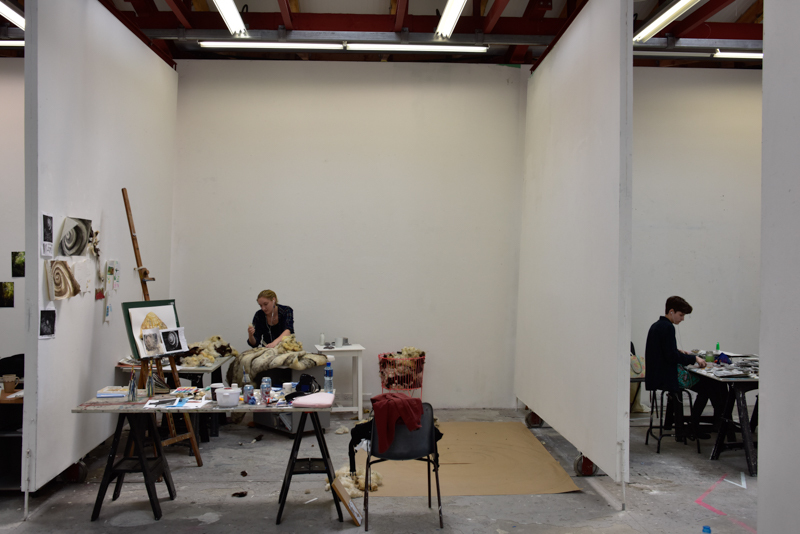 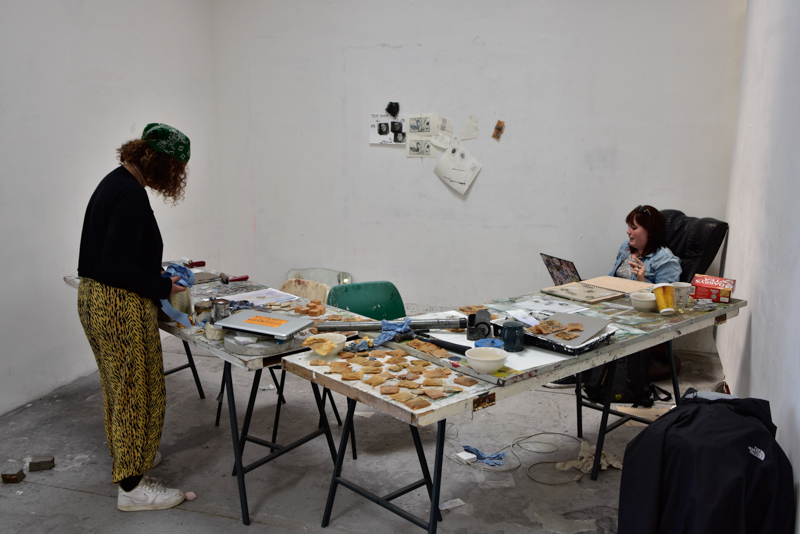 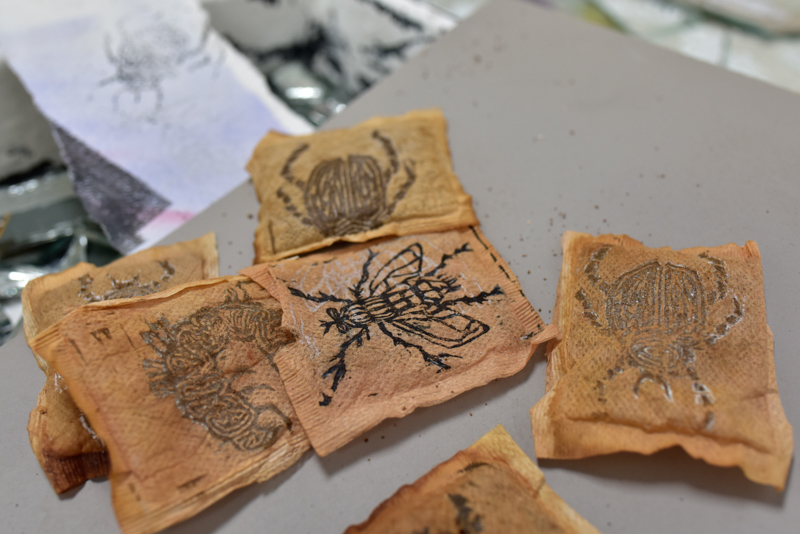 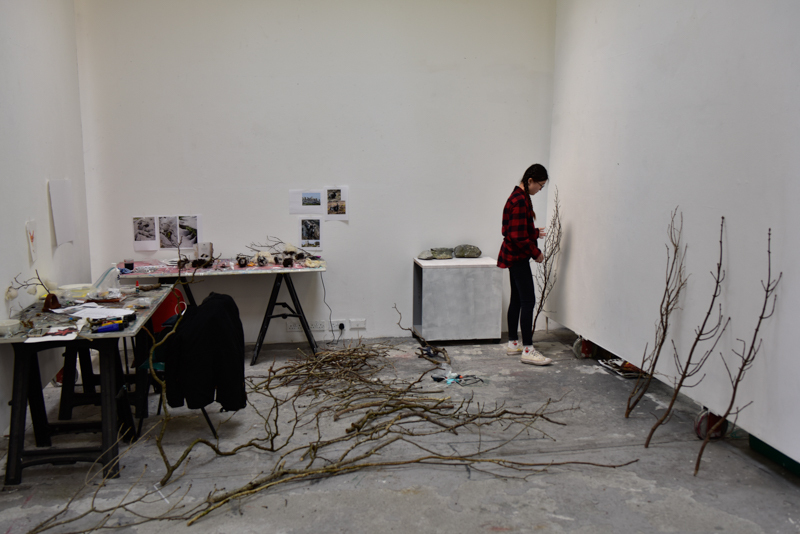 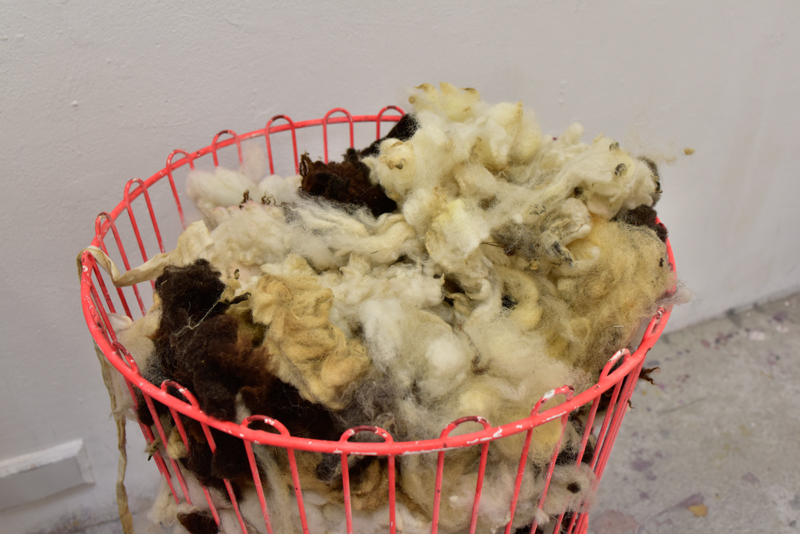 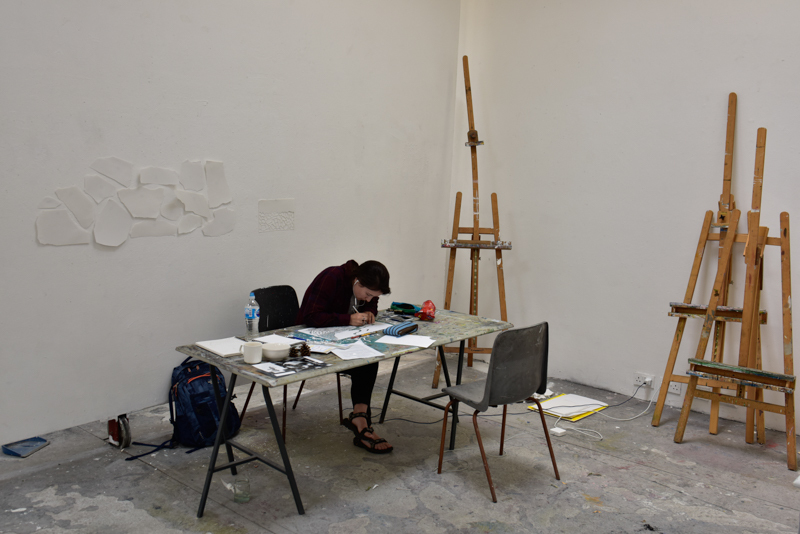 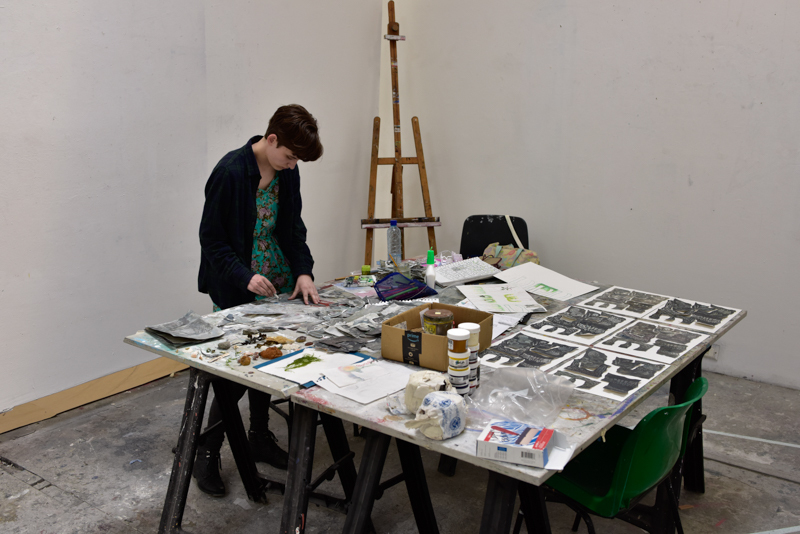 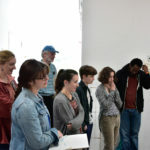 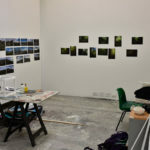 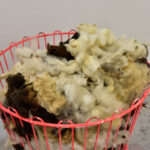 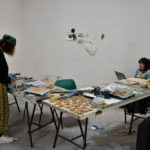 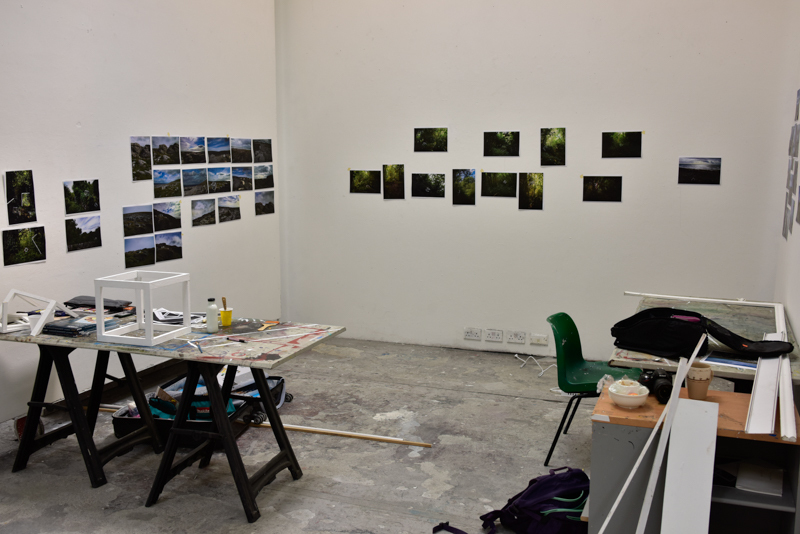 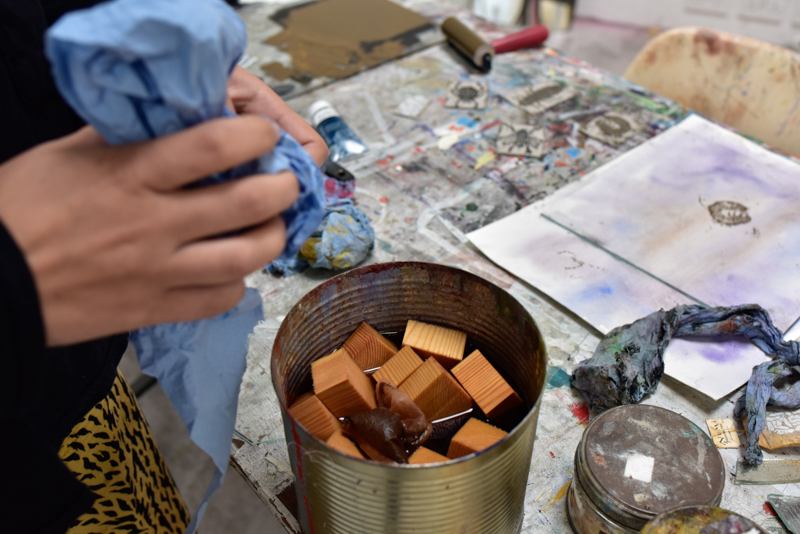 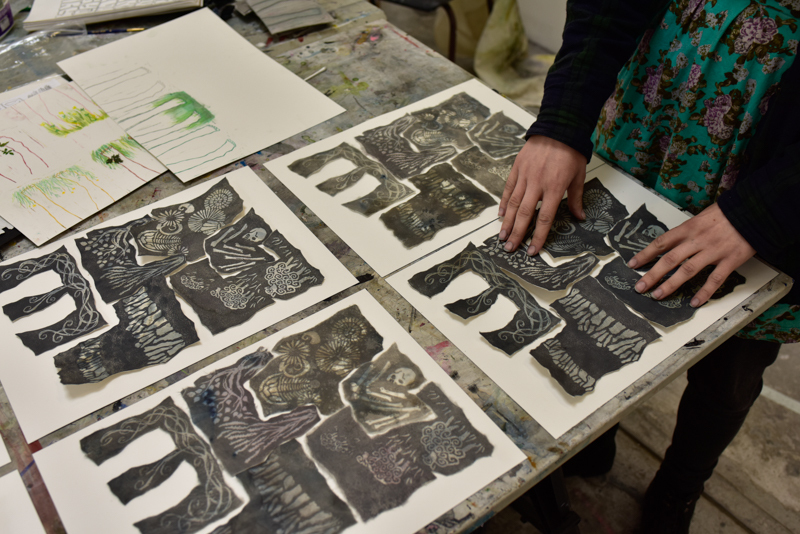 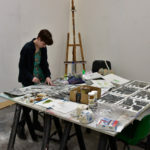 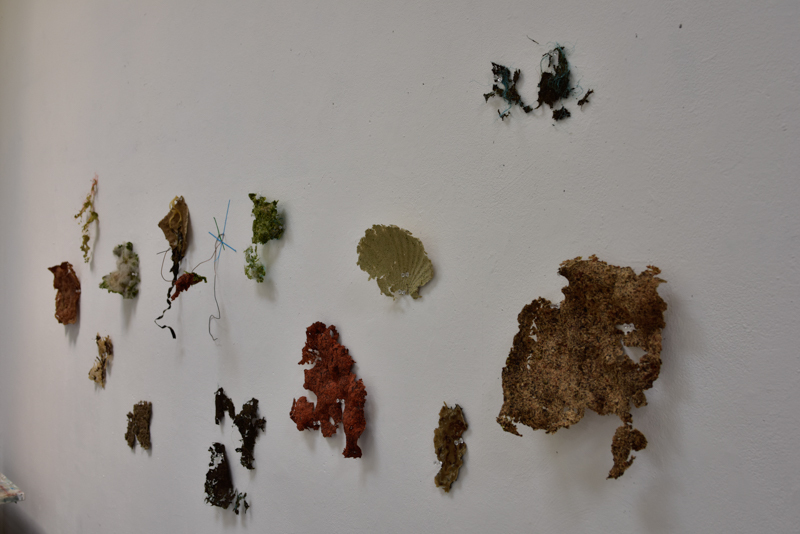 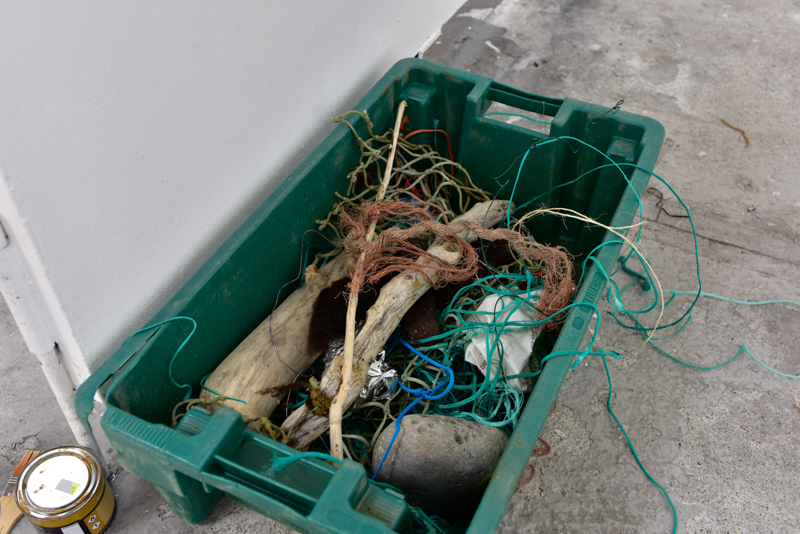 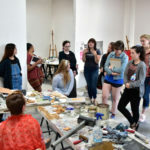 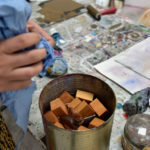 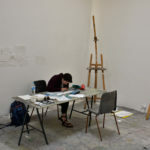 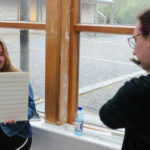 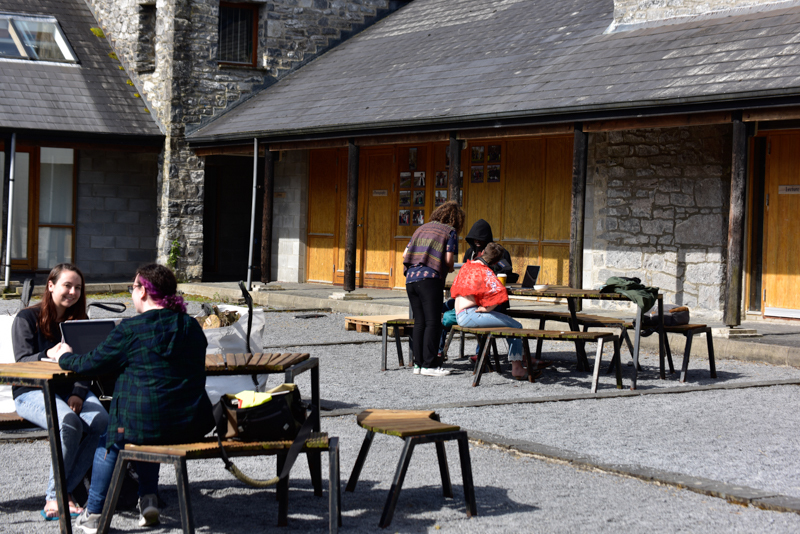 Students are not so much generating new works this week as they are working on polishing their work and deciding collectively how they will be presented in our final exhibition on Friday June 29.